Skye Gravestones | Angus MacInnes. 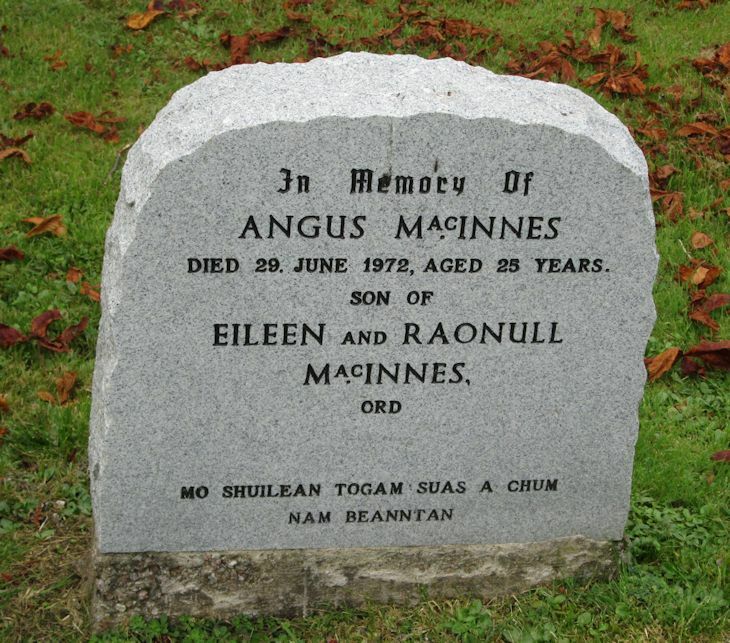 In memory of/ANGUS MacINNES/died 29 Jne 1872, aged 25 years/son of/EILEEN abd RAONULL/MacINNES/Ord. Mo shuilean togam suas a chum/nam beanntan. Picture Added on 20 September 2014.